Abstract: The CeBIT is held each year on the Hanover fairground, the world's largest fairground, in Hanover, Germany. It is considered a barometer of current trends and a measure of the state of the art in information technology. At CeBIT 2016 from 14 - 18 March, Airwheel self-balancing electric hoverboard is showcasing their innovations for the first time in Hall 17-H06 with 36 square meters. 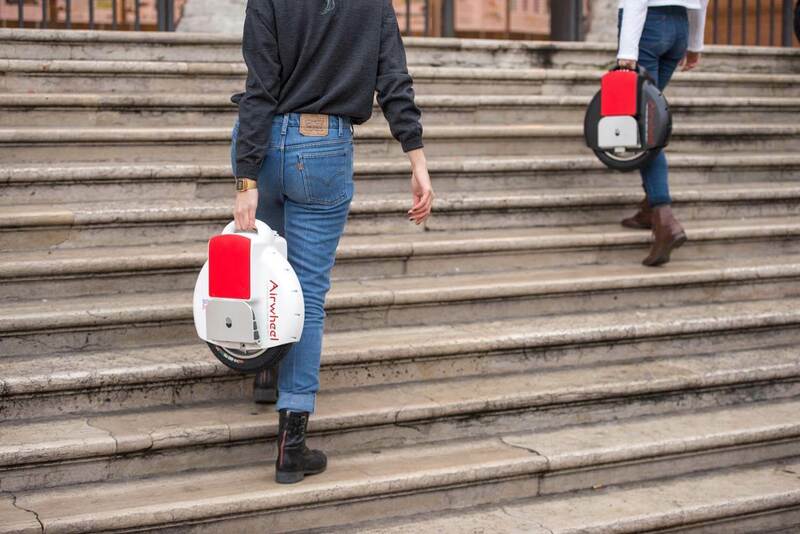 Airwheel is in pursuit of fashion, vogue and charm. The user's ride experience is the central to their design and R & D. Their improvements and revamps pivot on the feedback from customers. At CeBIT 2016, Airwheel self-balancing electric scooter is displaying their innovations for the first time in Hall 17-H06 with 36 square meters from 14 - 18 March. The CeBIT is held each year on the Hanover fairground, the world's largest fairground, in Hanover, Germany. Since the 6th to 9th, Jan in CES, it has passed a month and the subsequent deals and work are not yet finished and Airwheel will usher another important exhibition to show its latest achievements at CeBIT 2016. Airwheel has learned lessons from the CES and has chosen a capacious booth so that visitors will be feel free to have a trial riding. Apart from the classic electric unicycles—X series, exclusive twin-wheeled electric scooters—Q series and 2-wheeled electric scooter S series and revolutionary A3 saddle-equipped electric scooter, the latest S6 mini sitting posture self-balancing scooter, Z3 electric scooter and M3 DIY electric skateboard can also be experienced on the spot. Considering the majority of customer of Airwheel M3, Airwheel provides many fashionable stickers used onto the skateboard. For the Airwheel self-balancing electric hoverboards, only they ride it, can they feel such characteristics as easy-to-steer and convenient. No matter from the aspect of utility or convenience, Airwheel self-balancing electric scooter is worthy of the public's attention in Hall 17-H06 from 14 - 18 March.